Okay, I have to admit that I have known for quite awhile how good Kale is for you, but Kale is a bit intimidating to me. Why, you ask? It doesn’t look good! 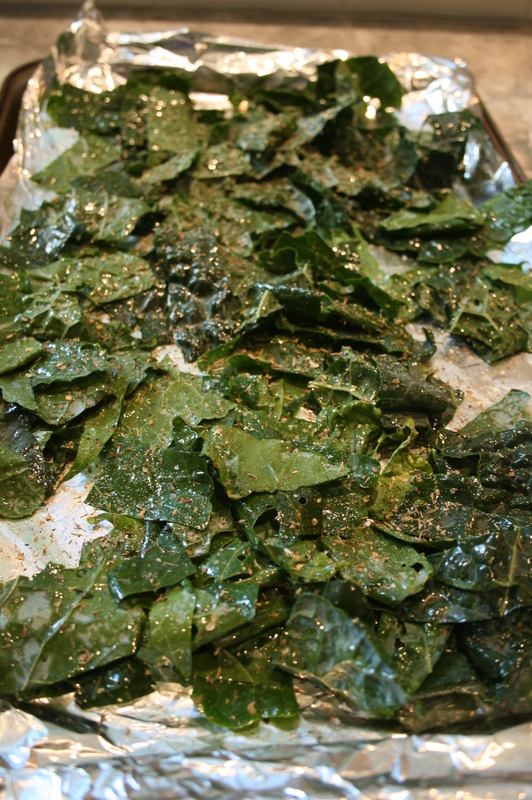 I have seen recipes for baked Kale Chips, watched celebrity chefs make baked Kale Chips, heard that they are as addictive as potato chip. REALLY? I just didn’t believe it and therefore I always shied away when I walked past the Kale in the grocery store. To beat myself at my own avoidance, I planted Kale in the Garden this year. 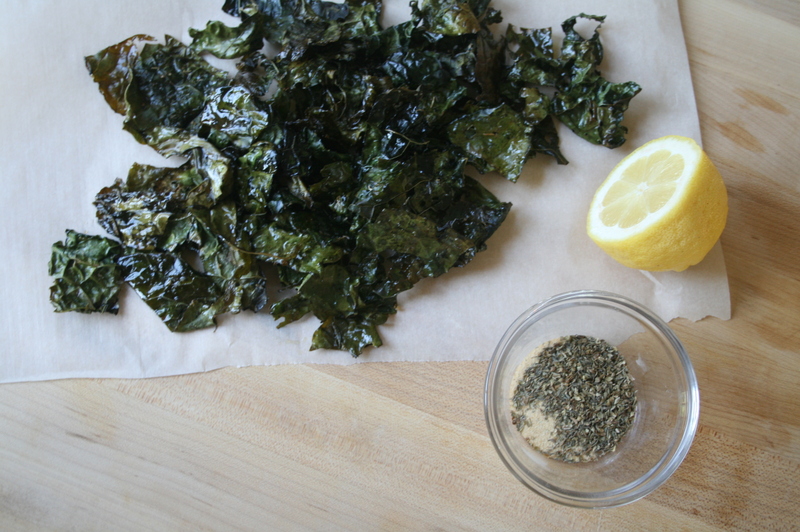 It is as easy to grow as it is to cook, so with a bed full of full grown Kale, it was time to take the plunge and cook up some of those supposably so good and good for you Kale Chips. After looking at one Kale chip recipe after another, I have figured out that after the basic prep, adding any dried mix goes. 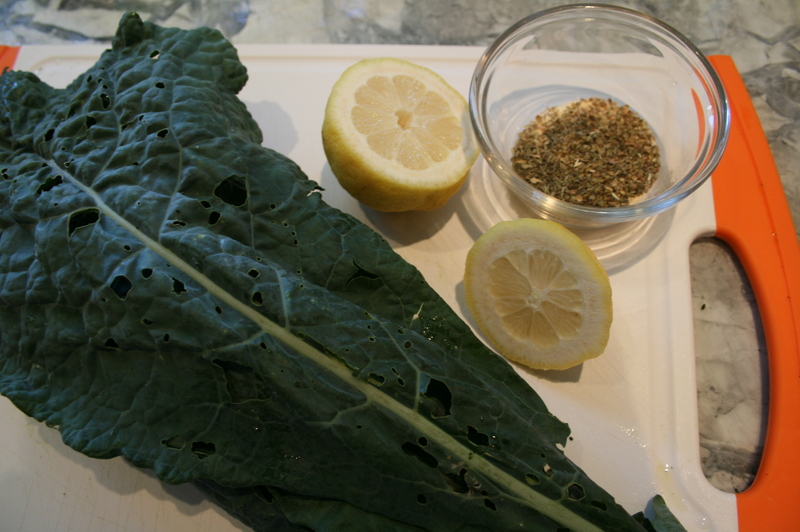 Remove the center stalk of the leaves with a pairing knife, slice leaves into chip size pieces, toss with olive oil in a bowl and lay them on a lined baking sheet then season with sea salt and juice of 1/2 lemon. You can stop there or you can add any combination of herbs you like. Here is a small list of herb assortments that work, pick which one you like or stay with just the olive oil, sea salt. What ever you choose, you will fall in love with this nutty snack. Sprinkle chips with additional ingredients if you choose and bake at 350 degrees for 10-15 minutes. The key is DON”T LET THEM BURN! What you end up with is a crispy crunchy yummy healthy for you snack. I kid you not, they are addictive and of course oh so good for you! Remove the center stalk of the leaves with a pairing knife, slice leaves into chip size pieces, toss with olive oil in a bowl and lay them on a lined baking sheet then season with sea salt. You can stop there or you can add any combination of herbs you like. How good? Really good. 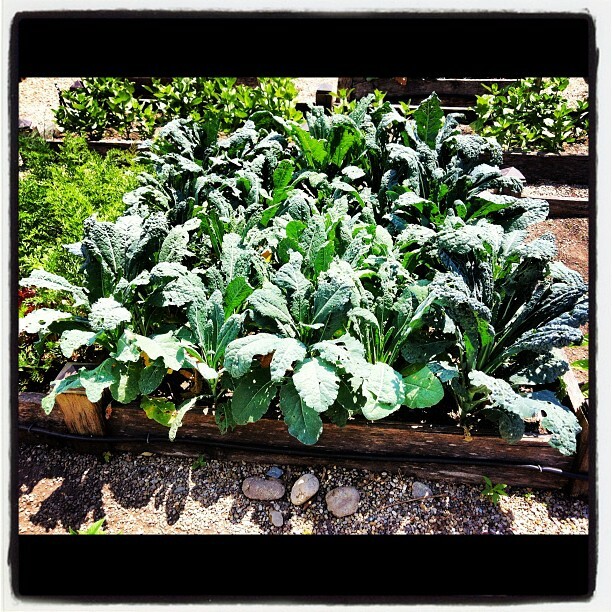 Kale is being called “the new beef”, “the queen of greens” and “a nutritional powerhouse. Never heard of tahini lemon juice. I’ll give it a try. Thanks! I have to confess that last year I grew a ton of kale and barely used it, this year I never got it in the ground but I’m going to buy some at the farmer’s market and make these!